How important is audience to you as a speaker? as a speaker, my audience is the single most important thing. As a speaker, the whole reason I am up is to present information to them and depending on the type of speech you are doing. get the audience engage, interested and in some cases to even make them think differently about a certain topic from when they first walked into the room. However, no matter what the topic is, being a speaker you must keep audience engage and interested in you and your message. What kinds of audiences do you want to talk to? audiences I’d be interested in speaking too would be audiences of business members, people interested in the topic I am talking to or students, kids, people willing to learn and open to hearing new information. Some of the difficulties in making an impact on chosen audiences are the stereotypes given from the audiences to the speaker, overcoming that along with people that are just different from you can be a struggle and difficulty. Also connecting with people with different mindsets and thinking can also be a struggle. Overall for my speech two, I thought I did a decent job. I was overall satisfy with the performance I had, but immediately knew I could’ve done a few simple things to make it stand out even more. I was overall satisfied with my delivery and tone, however with my transitions and presenting evidence I could’ve made it even better by mentioning other key points with my time. I felt that, I prepared very well and performed for the most part with my practice. However, my performance was not up to par with my last practice going into it. Going first, I feel like I had a nice momentum with me which helped a lot. However, I wish I could’ve utilized more actions and gestures across the “stage” to improve my presence. With the time being so short to present, could’ve done better with the information given by creating more dense slides and presenting off of them giving better information. Moving forward, I hope to improve on my motions across the stage as I feel like I lacked on that in this presentation. In addition to that, I would like to engage the class more by having a more loud present tone. Last but not least, keep reducing amount of information on slides and talk on them rather than read off. Using slides as a reference, but not the main thing in my presentation. HELLO AGAIN EVERYONE, MY NAME IS EJAY FARRALES AS MOST OF YOU KNOW. As you guys know, last time I was up here I talked a little bit about bike culture in the beautiful city of SF and my hometown. However, today I will be talking about more of the benefits of cycling. There are numerous benefits of the cycling, but the 3 that stood out to me and the 3 that I will talk about today are the health benefits of cycling, environmental benefits of cycling as well as the economic benefits of cycling. Number 1, health benefits, as you guys may know and as some people mentioned in their last presentations, cycling is good for the health.Cycling is easy on the joints, cycling builds muscle and can help you maintain a healthy weight. By keeping you physically fit, cycling already reduces your chances for diseases, even mental health diseases such as anxiety and depression. In addition that it can improve your heart and balance/coordination. Here below we have a little graphic on some of the health benefits I discussed. So environmental benefits of cycling. How does bicycle commuting contribute to a clean environment? number 1 cycling uses know fuel, obviously. number 2 bicycles take less energy than cars, in general and even to make. number 3 cycling does has any toxic parts, such as batteries, fuses, engines, motors, etc. With that said, lets take a look at this study by bike org. So for a 10 mile commute 5 days a week for a year, these are the amount of pollution being emitted by cars. so for a small car .7 Tons of CO2, for midsize car 1.3 Tons and for a SUV 1.9 Tons. And those are just for single cars. imagine multiplying these numbers by the amount of cars in the city, let alone the world. That’s TONS of emissions being let out. & the crazy thing is that is just from gas alone. imagine the pollution it takes to make a car that a whole other monster. So go out and get a bike and save the world. So IF those aren’t enough benefits of riding a bike, here is another one.which brings me to my last topic Economic Benefits of cycling. So how does cycling better the economy? 1) people who ride bikes buy bikes, so automatically that is helping out people of the bike shops manufactures for bike parts such as helmets, seats, handles, etc. 2) People who ride bikes buy other things too. put local business in a better spot to have more foot traffic and consumption. talk about SF Valencia statistics. 3)People who ride bikes on vacation buy food, have travel costs, and pay for lodging. Increasing bike culture and infrastructure can lead to tourism which can lead to revenue within a city. in Québec, Canada has seen a measurable impact of bicycle tourism on its economy. cycling led to a Province-wide spending by bicyclists totaled $166 million, Generated sales over $181 million, supporting 2,800 jobs and generating $17.2 million in tax revenues for Québec and $13.6 million in national taxes. So you might be wondering, how might this be able to happen? With the money saved from lower travel costs, people who ride bikes have more of their money to spend on local businesses. Developers,cities, and individuals can save money on parking costs by providing space-efficient,low-cost bike parking instead of expensive car parking. In short, all that spending means jobs–and tax revenue– for communities. But people who ride bikes also save money. With that said, It’s pretty safe to say, that we all need to start riding a bike, to not only benefit our health, but to benefit the environment as well as the economy. SO GO OUT AND START RIDING A BIKE TODAY! For my S2(using Evidence module) , I wanted to talk about some of my favorite and what I think are the most important benefits of bicycling. inform people, how much bikes benefit the world we live in and our environment. show study on bike org about the amount of emission is released by cars yearly. talk about those numbers and aware class of this horrible thing cars do for the world. 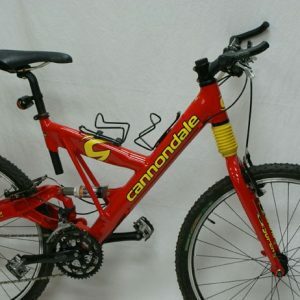 My first bike that I received was actually a second hand red cannondale mountain bike given to me by my aunt. She received the bike from a good friend and then passed it down to me when she simply stop riding bikes due to her busy work-oriented lifestyle. I remember when I first got the bike, it would be a struggle getting on it as it was a bit too tall for my short middle school self. I started riding the bike in middle school when I was old enough to go out on my own. This bike holds a lot of memories as I remember cruising around my neighborhood with near by friends in the afternoons after school. I would ride this bike to go to the store, to go to my friends house nearby, even to the nearby ice cream shop. Although I had a mountain bike, which was really heavy and hard to use, it was the only bike I had at the time so I made it work. I remember the feeling I would get after riding this cannondale, being young and free and feeling the wind on your face when you peddle faster, it was a great feeling, gave me a sense of freedom and independence. My favorite memory with this bike was simply just riding around my neighborhood with the sun setting cruising around with my old pals. I am sad to say that this bike is no longer mines as later on it had many problems and my parents threw it away without my knowledge.